When the Coalition Government took office, David Cameron appointed the Right Honourable Kenneth Clarke QC to the post of Lord Chancellor & Secretary of State for Justice. Mr Clarke was an old hand in Government, and offered a level of experience that the Government lacked. Considered a left winger within the modern Tory party, he was probably more comfortable with the Liberal Democrats as well than most of the Cabinet. However Mr Clarke was never forgiven by some headbanger right wingers in the Tory party for being in favour of the Euro. As a result they were always uncomfortable with him being in Government, and when Mr Cameron reshuffled his Cabinet in 2012, he replaced Mr Clarke with one of their own – a real headbanging right winger, Chris Grayling. Mr Grayling was the first Lord Chancellor in hundreds of years not to be a qualified lawyer. The position was reformed by the Labour Government in the Constitutional Reform Act so that it was no longer the head of the Judiciary, and could therefore be held by any person the Prime Minister felt was relevantly qualified. Apparently in Grayling’s case that meant holding a BA in History from Cambridge and a career in media. The legal profession took this to be an affront, an insult to their entire profession. What is worse, Grayling then decided that he had to reform the legal profession, despite clearly not understanding it. Not content with refusing to listen to their proposals for reform or their attempts to influence him into not making a huge mistake, he based his decisions on prejudice rather than evidence and rejected judicial attempts to force him to make evidence based decisions as further reasons for reform. Grayling has apparently been replaced in the post-election reshuffle by Michael Gove. 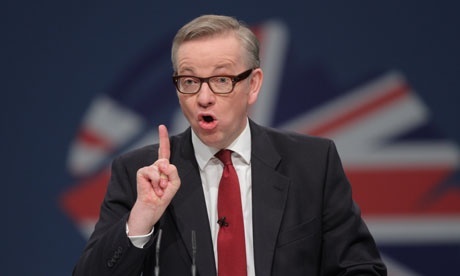 Michael Gove is the second Lord Chancellor in 440 years not to be a qualified lawyer. The legal profession appear, at least at first, to be breathing a massive sigh of relief that Grayling has gone. But that sigh of relief is tinged with a fear that his reputation – he was accused of creating a climate of bullying, intimidation and fear by the National Association of Head Teachers when he was Education Secretary, a job from which he was demoted to Chief Whip in 2014. Mr Gove will take control of a Justice Department in dire need of a period of calm. Probation has just been privatised. Prisons are overcrowded. The courts system is in meltdown. Lawyers went on strike last year. Legal aid cuts are being challenged in the courts – and the Government is likely to lose again. The Conservative Manifesto on which they were elected as a majority Government includes a commitment to replace the Human Rights Act 1998 with a British Bill of Rights. This is perhaps the biggest job Mr Gove will have in this Government – he will have to shepherd this legislation through a hostile House of Commons – and an even more hostile House of Lords. Locally Ben Gummer will come under strong pressure to try and exert some influence on his former boss, Mr Gove, when it comes to a number of justice issues; but none will be as vital as the Human Rights Act. He can expect his post bag to be full.